Alfred Stengel was born in Pittsburgh, Pennsylvania, on November 3, 1868. The son of Gottfried Stengel, a civil engineer, and his wife Frederica Suzan Hertle, Stengel was educated in public schools and then, for a year, by a private tutor. 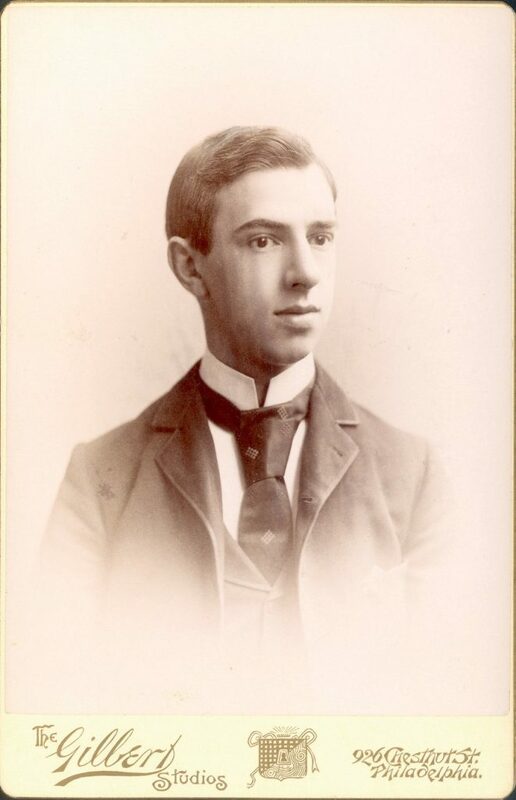 He did not attend college before entering the University of Pennsylvania Medical School in the fall of 1886, just short of his eighteenth birthday. As a member of the Medical Class of 1889, Stengel followed the prescribed three-year curriculum to earn his M.D. degree in June of 1889. At their graduation, his class presented the Medical School with Thomas Eakins’ painting, The Agnew Clinic, commissioned by the class in honor of D. Hayes Agnew‘s retirement from the faculty. Stengel can be identified as one of the students portrayed in the painting. After his graduation, Stengel worked in several capacities for a number of institutions. He interned for eighteen months at Philadelphia General Hospital. In 1891, at the close of his residency, Stengel first served as quiz master in pathology at the Penn Medical School; the following year he was elected a pathologist at the German Hospital (now Lankenau). In 1893 he became laboratory assistant to William Pepper, professor of medicine and provost of the University of Pennsylvania; in this position he also served as a lecturer in clinical medicine at Penn. From 1896 to 1898 Stengel also held the position of clinical professor of medicine with Women’s Medical College of Pennsylvania. Stengel’s professional writing also began in the 1890s, when in 1898 he became editor of the American Journal of Medical Sciences. He himself was the author of several books, including a pathology textbook, first published in 1898, which went through nine editions. During his career, Stengel had more than 200 of his own articles published in medical journals. Stengel’s career soon focused on the University of Pennsylvania, where he came to have great impact as an educator and as an administrator. In 1898, he succeeded Pepper as director of Penn’s William Pepper Laboratory; the following year, he was named a professor of clinical medicine at Penn. 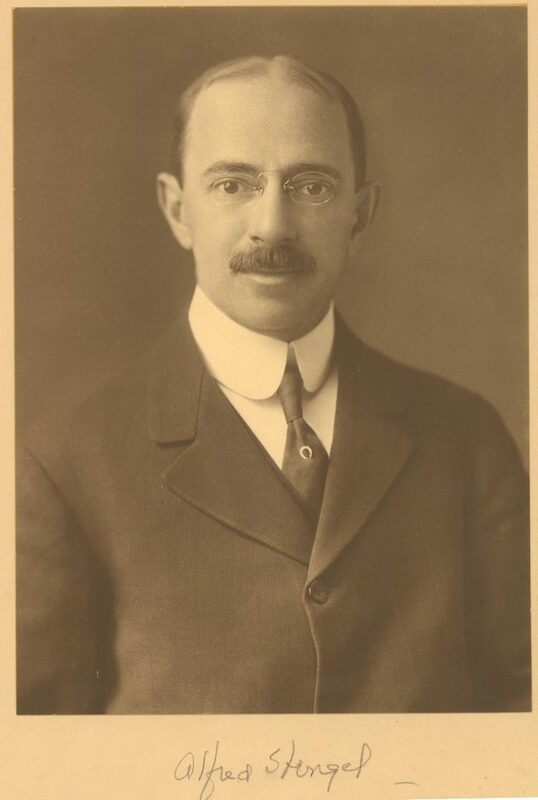 In 1911 Stengel became a full professor, accepting the chair of clinical medicine, following in the footsteps of Dr. William Pepper and Dr. James Tyson. Later he also became a professor in Penn’s Graduate School of Medicine. His success as a teacher was largely the result of his abilities as a pathologist and as a lecturer who could present complex subject matter clearly and simply. Stengel’s skills, not just as a teacher, but also as an administrator did not go unnoticed by the University. In 1921, Stengel became manager of the University Hospital, remaining in that roll until 1936. Most importantly, in 1931 Stengel was named the University’s vice president in charge of medical affairs. He held this position for the rest of his life, creating what has come to be Penn’s medical center as he oversaw the University’s dental school and veterinary school as well as its undergraduate and graduate medical schools. Although he himself had concentrated on anatomy and physiology as emphasized by the medical training for his generation, Stengel became an advocate of the basic sciences and of research in a variety of fields. Stengel’s position as a trustee of the University from 1928 until his death gave him another means of having an impact. In his capacity as a trustee, he was a member of the Trustees’ Executive Board, the Trustees’ Board of Medical Affairs, and the Managing Committee of the University of the University Fund. Stengel was also an active alumni, serving in such roles as chairman of the medical fundraising campaign, class president, and class reunion manager. Outside of the University of Pennsylvania, Stengel was affiliated with other medical schools and various medical and scientific organizations. From 1896 to 1898 Stengel held the position of clinical professor of medicine with Women’s Medical College of Pennsylvania. Later in his career he was a consulting physician to Philadelphia General Hospital, Children’s Hospital, Jewish Hospital (later merged into Einstein), Abington Memorial Hospital, and Norristown State Hospital. He was named as president of the College of Physicians of Philadelphia in 1934. He also served as president of the Wistar Institute of Anatomy and Biology and was a member of the American Philosophical Society, the Association of American Physicians, the Philadelphia Pathological Society, and the National Advisory Health Council. During World War I he served as a major in the U.S. Army Reserve Corps in charge of the U.S. Public Health Services. His most important national post was as president of the American College of Physicians from 1925 to 1927. In this position, Stengel took the opportunity of the merger of American Congress on Internal Medicine with the college to restructure the combined organization, making it the leading organization of internists in this country. He also served as a major in the Medical Reserve Corps, with service during World War I with the Public Health Service in Pennsylvania. Stengel married Martha Otis Pepper, a niece of Provost William Pepper, in February 1909; they raised two sons and a daughter in their home on Spruce Street near Rittenhouse Square and at their farm, “Summerhill,” in rural Chester county, Pennsylvania. Stengel died at his Philadelphia home on April 10, 1939.